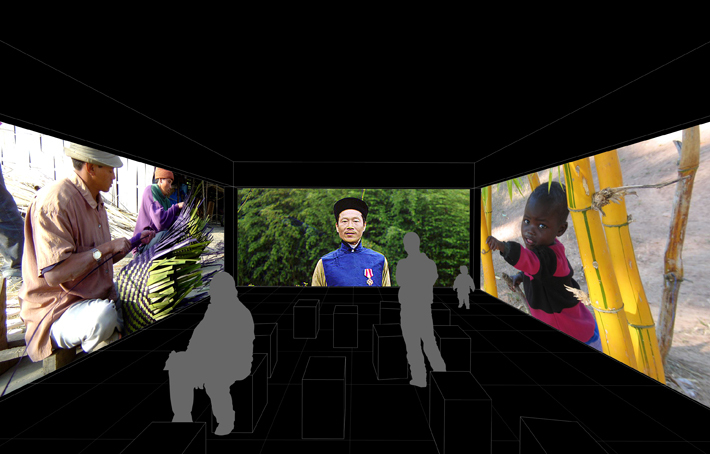 My bachelor thesis is a museum concept for the China Bamboo Museum in Anji. 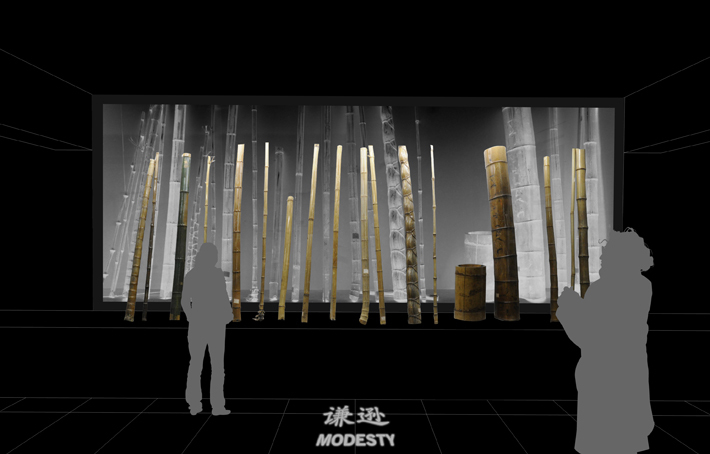 The museum concept aims at reestablishing the high esteem of bamboo in chinese culture. During the cultural revolution, once fundamental societal values have been destroyed. By remembering and reestablishing these values, China might have a better chance to face its huge environmental and societal challenges. 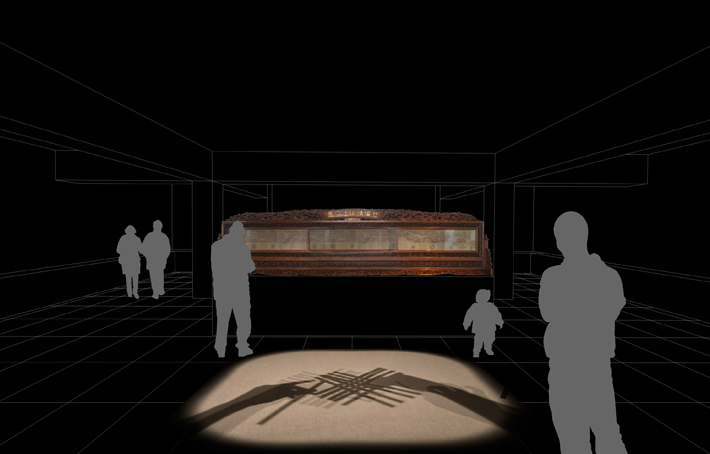 The seven rooms of the museum are connected by a single guiding theme: the shadow becomes the carrier and mediator of bamboo’s cultural significance and is interpreted in relation to the different topics in each room. The shadow as an abstract representation of bamboo was first introduced by a poetic idea of the great literati painter Baj Juyi. He stated, that he does not paint the bamboo itself, but rather the shadows of bamboo on the rice paper of his windows. In addition, the chinese shadow theatre is a traditional and famous narration medium. The connotations of bamboo are interpreted as diffuse shadows. Only the shadows are visible. The source of light and the objects that cast the shadows cannot be seen. 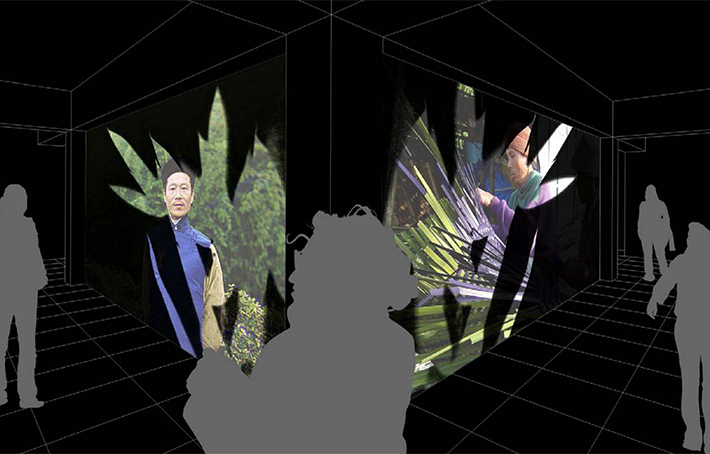 Visitors are surrounded by a 360° shadow theatre. 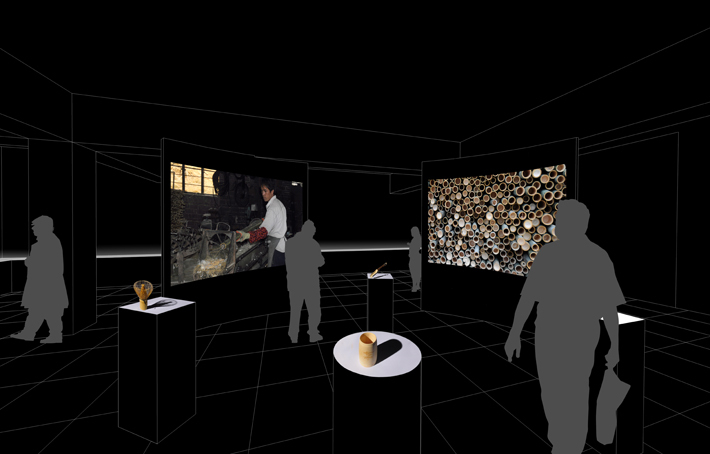 The first room is the prolog of the museum and clearly introduces the guiding theme. 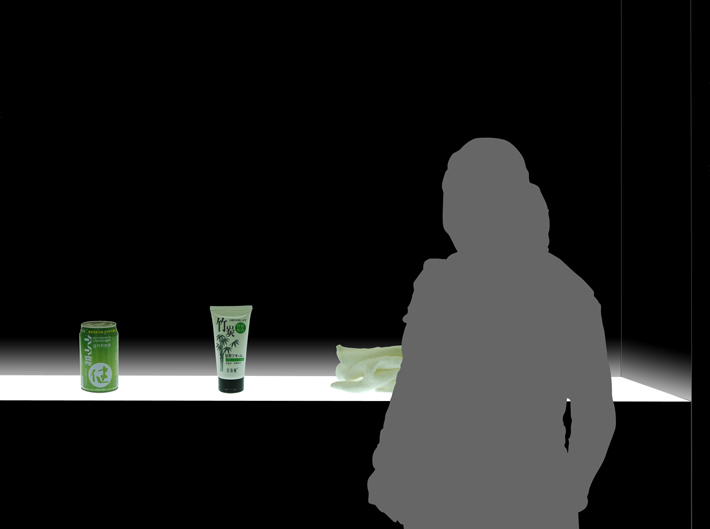 Hightened and enlarged shadows visualize the significance of bamboo for e.g. the Chinese music. Further topics of the second room: poetry, bamboo painting and the character for bamboo, which is represented by a huge threedimensional character. Bamboo’s biological properties are investigated for their symbolic meaning by scientific “shadow”-images. X-Ray images show e.g. the hollow interior of bamboo, which is a symbol for modesty. 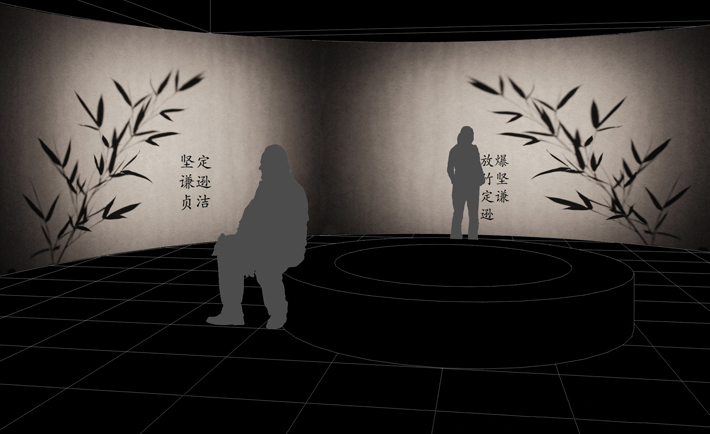 The symbolic meaning of the biological property is projected in front of the exhibits. 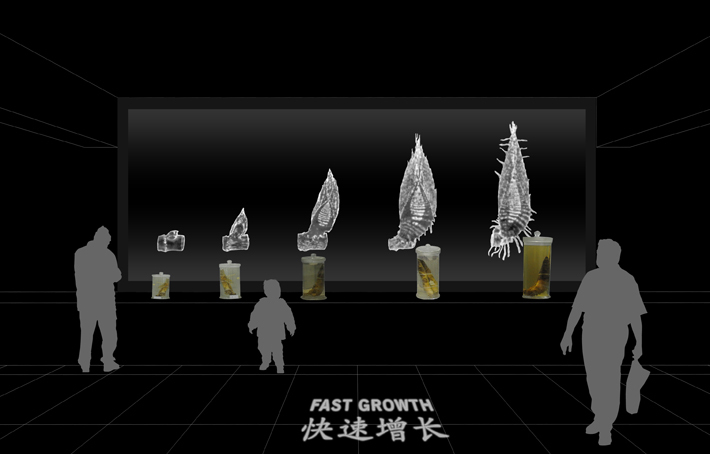 Magnetic resonance images analyse the fast growth of bamboo shoots. Traditional objects cast a “normal” shadow. Most industrial products have no visual connection to bamboo any more and therefore cast no shadow. They are lighted from underneath. The traditional objects are exhibited in the centre of the room. They are surrounded by informations and images about bamboo processing techniques. The industrial objects are placed alongside the outer walls. Traditional bamboo objects serve as inspiration for the modern bamboo constructions of Markus Heinsdorff. The shadows of traditional objects serve as inspiration for new designs. The value and cultural significance of handicrafts lies in particular in its traditional weaving and carving techniques. The technique of bamboo weaving is shown by a stylized shadow movie. 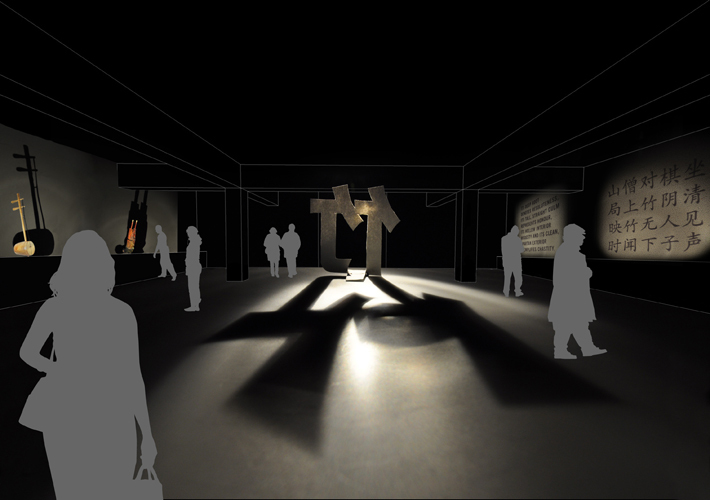 The main exhibit of the handicraft room is positioned behind the shadow movie. 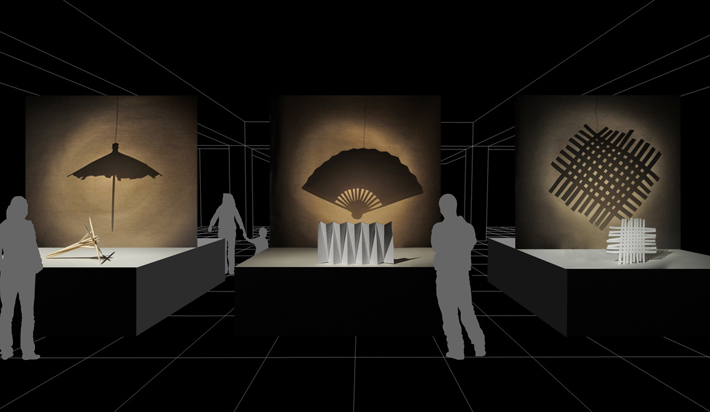 The epilog shows the bamboo cultures of the world via “electrical shadows” (Chinese for “film”). Seen from the backside, these movies shine through the outline of bamboo leaves. The movies can be watched normally from the frontside. Confronted with other bamboo cultures, the Chinese visitors get to know similarities and differences between the bamboo cultures of the world and will be able to reflect on their own culture.